Light-'n'-lacy floral-patterned shawl is the perfect wrap for a warm summer day. 2 flowers = 3½ ins [9.5 cm] wide with larger hook in pat. With larger hook, ch 135. 1st row: (RS). 2 dc in 4th ch from hook. Miss next 2 ch. Ss in next ch. Ch 7. Miss next 3 ch. Ss in next ch. *Ch 3. Miss next 2 ch. (Ss. Ch 3. 2 dc. Ch 3. Ss) all in next ch. Ch 3. 2 dc in next ch. Miss next 2 ch. Ss in next ch. Ch 7. Miss next 3 ch. Ss in next ch. Rep from * to last 3 ch. Ch 3. Miss next 2 ch. (Ss. Ch 3. 2 dc) all in last ch. (1st row of Chart is now complete, noting 11 ch repeat will be worked 11 times). Do not turn. Note: Refer to Chart to follow instructions for remaining rows. All rows will be worked with RS facing. When working 2nd and 4th rows of pat, rotate Shawl so foundation row is at top of work. 2nd row: *Ch 10. Ss in 4th ch from hook to form loop. Ch 3. 2 dc in loop. Ss in ch 7 sp. Ch 3. (Ss. Ch 3. 2 dc) in same loop. Ch 3. Ss in top of ch 3 in row below. Rep from * across ending with ss in top of ch 3. Do not turn. 3rd row: Ch 9. *Ss in top of dc. Ch 3. (Ss. Ch 3. 2 dc. Ch 3. Ss. Ch 3. 2 dc) all in loop. Ss in 3rd ch from loop. Ch 7. Rep from * across ending with ch 3. (Yoh) 3 times and draw up a loop in dc. (Yoh and draw through 2 loops on hook) 4 times – dtr made. Do not turn. 4th row: Ch 6. Ss in 3rd ch from hook to form loop. Ch 3. 2 dc in loop. Ch 3. Ss in top of ch 3. *Ch 10. Ss in 4th ch from hook to form loop. Ch 3. 2 dc in loop. Ss in ch 7 sp. Ch 3. (Ss. Ch 3. 2 dc) in same loop. Ch 3. Ss in top of ch 3. Rep from * across ending with ch 10. Ss in 4th ch from hook to form loop. Ch 3. 2 dc in loop. Ss in 6th ch of turning ch. Ch 3. Ss in loop. Do not turn. 5th row: Ch 3. 2 dc in loop. *Ss in 3rd ch from loop. Ch 7. Ss in top of dc. Ch 3. (Ss. Ch 3. 2 dc. Ch 3. Ss. Ch 3. 2 dc) all in loop. Rep from * across ending with ss in 4th ch from loop. Ch 7. Ss in side of dc. Ch 3. (Ss. Ch 3. 2 dc) all in loop. Do not turn. Rep 2nd to 5th rows to form pat. Cont in pat until work from beg measures approx 70 ins [178 cm], ending on a 4th row of pat. Fasten off. Edging: 1st rnd: With RS of work facing and smaller hook, join yarn with ss to any corner of Shawl. Work 1 row of sc evenly around outer edges, working 3 sc in corners. Join with ss to first sc. 2nd rnd: 1 sc in each of first 3 sc. * Ch 3. 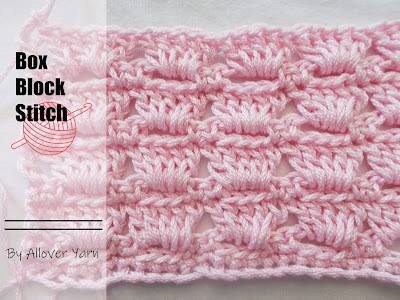 Ss in last sc – picot made. 1 sc in each of next 3 sc. Rep from * around. Join with ss to first sc. Fasten off.